When Eli first meets Sam Westergard, he is dazzled by his new friend's charisma, energy, and determined passion. 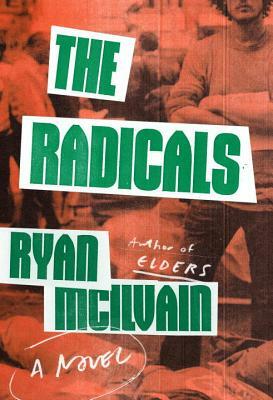 Both graduate students in New York City, the two young men bond over their idealism, their love of poetry, and their commitment to socialism, both in theory and in practice—this last taking the form of an organized protest against Soline, a giant energy company that has speculated away the jobs and savings of thousands. As an Occupy-like group begins to coalesce around him, Eli realizes that some of his fellow intellectuals are more deeply—and dangerously—devoted to the cause than others. A fiercely intelligent, wonderfully human illustration of friendship, empathy, and suspicion in the midst of political upheaval, Ryan McIlvain's new novel confirms him as one of our most talented and distinctive writers at work today. Ryan McIlvain was born in Utah and raised in Massachusetts. His first novel, Elders, was longlisted for the Center for Fiction’s First Novel Prize, and his work has appeared in The Paris Review, Post Road, The Rumpus, and The Los Angeles Review of Books, among many other publications. A former Stegner Fellow in Fiction at Stanford University, McIlvain now lives with his family in Tampa, Florida.